Just as much as the success of your business depends on its personnel, so does its failures. According to the FBI, corporate theft is the fastest growing crime in the United States. It’s bigger than identity theft, cyber fraud, credit card theft and internet scams. 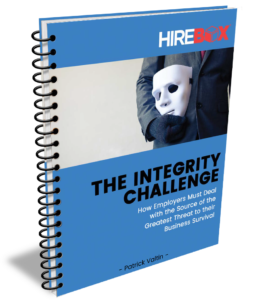 With this special report, you will also be able to receive a checklist covering 8 steps that you can follow in order to minimize the odds of selecting dishonest employees, while also putting all your attention on selecting the right fit for a specific position. By using this “lie-detector” checklist and the proposed tools, you will develop a unique sense for detecting the applicants you do NOT want to hire.